The bottom line is that agencies and associated professionals should be accountable and the best way to do this is to publicise these cases. There is no reason why anyone should not stand by their opinions and defend them. There is too much trial by expert and experts do get it wrong. I have been on cases where I got one social practitioner to admit under cross examination the the Mum was ” a good enough parent” yet the court found against us. Section7(4) tells us that the court may order expert reports ( sorry that is very paraphrased). The Judge doesn’t necessarily need to take on board what the “experts” say. However the Judges do take on board what the experts say. The same experts are used over and over again and the same experts meet the same Judges and Lawyers in the same courts. More expose’s are needed . Maybe the legal inaccuracies were there to be thought provoking. For too long not much in our family court system is thought provoking. I try to be. It seems to me that parents are deemed “guilty” before they ever set foot in a court room , not least because most cases go the Social Services way. SO if this program helps redress the balance and gives hope to innocent parents, long may it continue. 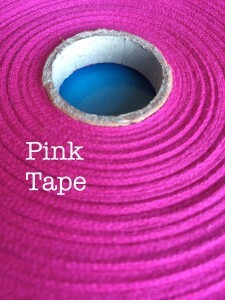 It seems you have not read and/or understood Pink Tape’s comments on the Ward Case. In this instance, the decision was that the legal threshold for the making of a care order was not made out by the Local Authority. That is not the same as saying the case should never have been put before the court in the first place. The child, only a few weeks old, sustained a spiral fracture of his leg in circumstances that were not explained. That was an extremely serious event, for both child and parents, that required detailed examination and consideration by experienced medics, social workers and lawyers. That is precisely what occurred. The alternative would have been to do nothing, which is untenable. The baby was never removed from his parents’ care, and the gramdparents were fortunately able to live with parents and child and provide 24 hour supervision until a final decision was reached. The system is not perfect – none is – but it worked. And it worked because the welfare of the child was at all times regarded as paramount. The child’s parents were never “deemed guilty”, or innocent. Those words have no place in care proceedings, the task of which is to establish the facts on the civil burden of proof (balance of probabilities), determine whether on the basis of the facts so established the threshold for the making of a care or supervision order set out in s 31 Children Act 1989 is made out and, if so, whether it is necessary in the welfare interests of the child to make an order, and if so of what type. In the Ward case, the court decided that, on the basis of all the evidence, including expert evidence, the Local Authority had failed to establish the threshold had been made out. As Pink Tape says, this is unusual. You say “most cases go the Social Services way”. With respect, that is to approach matters from an incorrect perspective. Courts make decisions on the basis of the child’s welfare interests, not on the basis of the “way” of the adult parties, whether social Services or parents. Independent research indicates that about 25% of applications for care orders do not result in any orders being made by the Court. Some of these will be cases, like the Ward’s, where the threshold is not established. Others, and I suspect the majority, will be where it is established but that no order is deemed necessary by the Court, because, for example, the parents have taken on board the concerns about their care and parenting ability and have brought about the necessary change and improvement. You imply professionals and judges are not accountable unless cases are publicised. This is simply not accurate. What you mean is that they are not exposed to comment from the public and media. There is a well defined structure of accountability within the various professional bodies invloved in the family justice system. Trial by media and public opinion is no suitable replacement or addition and will do nothing to advance the interests of the children involved in these cases. Your assertion that professionals do not stand by their opinions and defend them is also inaccurate – that occurs evert time they give evidence to a court. The whole point of giving evidence in a family court is to assist the court in reaching a decision in the child’s best interests – it is not to persuade a largely uninformed and unqualified media and public that one party is right, or wrong. What is needed instead is an information campaign to educate media and public alike about the legal and factual complexities of these cases, so as to enable a more informed understanding of what actually occurs in practice, whilst maintaing the confidentiality of information relating to the most intimate and private aspects of children’s lives. Again, independent research shows that children who have been involved in care proeccedings do not want details about them and their familes being made known to all and sundry, and that if when asked during the proceedings about their experiences and wishes/feelings for the future they had been told those would be made public they would have refused to provide any information, thus hampering the court in coming to a fully informed conclusion about the best decision to take for their welfare. Experts are instructed on behalf of the court to assist the judge to make a decision, but experts themselves do not make any decision at all. Section 7 children Act 1989 refers to welfare reports from probation (now CAFCASS) or Social Services, not experts of the type to which you are referring. The provisions relating to the latter are contained within the Family Proceedings Rules 1991. You are correct to say the judge doesn’t have to take on board what the experts say, but you need to ask yourself why any court would go to the time and trouble and expense of directing the parties to agree and instruct an expert if no attention is to be paid to that expert’s opinion when it is provided. Doing so does not mean the judge will accept expert opinion without question. Expert evidence is part of the totality of the evidence provided, and is taken into account. Sometimes experts provide conflicting evidence, and the judge has to weigh one against the other, and come to a conclusion if possible. As for your comment that the same experts meet the same judges and the same lawyers, well yes, what would you expect? All are professionals who specialise in this very specialist field. By definition there are not many of them (and legal aid cuts will mean that shortly there will be many fewer around). It takes years of training, qualification and experience to become an expert or specialist in this field, so the people involved are not ten a penny. It is the same in any other field you may care to think of, and it should be like that shouldn’t it? Surely you do not want such serious and complex matters decided by people who are not properly qualified? i have specialised in representing both children and parents (not in the same case, obviously) in care proceedings for over twenty five years. I am still learning, and my thoughts have been constantly provoked throughout that time, contrary to your assertion. You say you try to be thought provoking. If your interest in care proceedings is that strong, I urge you to find a way to become a Solicitor or Barrister so that you may represent children and parents and help them in a much more effective way than is possible as a Mackenzie Friend (I assume that is what the initials MF after your name signify). If you do a consequential benefit is that you will relaise there is no concept of “guilt” or “innocence” in care proceedings, and that all parties begin from the same place as far as the court is concerned, i.e. the whole purpose of the proceedings is to do what is best for the child. I’ve just read this judgment. I will be quoting it when representing parents who are criticised for being hostile to social workers as if this were in itself poor parenting. Julie she is right but best if she explain that her findings should reffered to different incidents to avoid chaos and confusion. Julie some times parents are wong. But the SS cannot get it right.